We must remember that the Hebrew word for angel, malach, simply means “messenger.” It appears from the text, however, that this was no ordinary messenger. This was a divine being sent to convey an important message to Jacob and teach him a lesson. 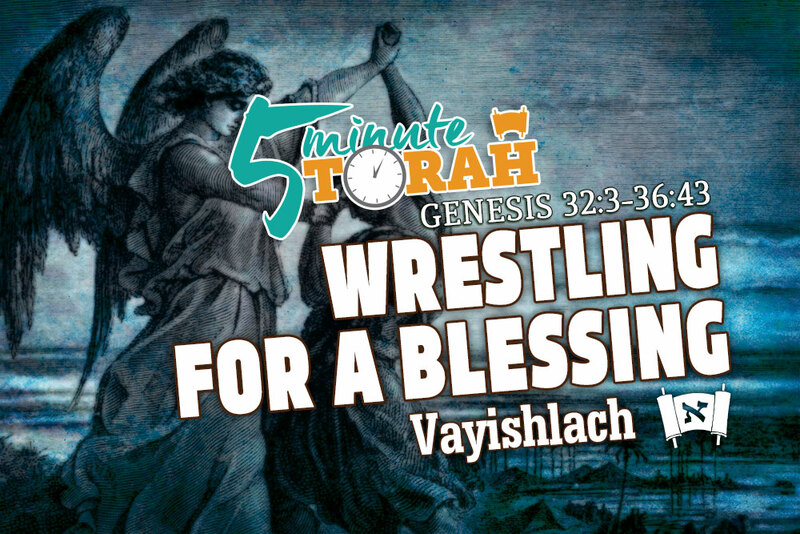 What lesson did Jacob learn from this all-night wrestling match? Up until this point, Jacob's response to problems was either to have someone else take care of it or to find the easy way out. Instead of receiving the blessing outright by telling his father that Esau had sold him the birthright, Jacob had to be coerced by his mother into a scheme to receive what was rightfully his. Rather than standing up to Laban for his trickery, Jacob spent twenty years trying to devise a plan to escape Laban’s dominance, and he eventually ends up sneaking off behind his back. Rather than confronting his brother Esau, Jacob schemed at how he could save his own neck. The angel came to Jacob during the night to teach him about himself. He came to reveal to Jacob his true nature and character that he had repressed all of his life. He put Jacob into a situation that gave him no choice but to fight back with his entire being. He couldn’t escape his situation by his previous means and was therefore forced to confront his adversary in an engagement that lasted throughout the entire night. In this event, Jacob sees what he is capable of for the first time. Rather than surrendering, he shows his tenacity by wrestling with the angel “until the breaking of day.” And then, when the angel wants to flee, Jacob doesn’t let him, even after having his hip dislocated in the process. By that point, Jacob had decided that he wasn’t going to give up this time. He had determined in his mind that he will fight to the end and come out on top this time. He gives the angel an ultimatum: Bless me, or I will hang on to you indefinitely. We know the rest of the story. The angel blesses Jacob and changes his name from Jacob to Israel before fleeing into the diminishing shadows of night. But before Jacob’s name is changed by the angel, the transformation has taken place. He has wrestled with the Divine and overcome. Rather than merely resigning to fate, Jacob took a stand and held his ground. He took charge of his destiny and stepped into the calling that would forever change his life: He became Israel. Many of us will do whatever it takes to avoid confronting our true selves and our true purpose in this life. We continually make excuses and find the easy way out. It is simply the path of least resistance. But only when we struggle with the Divine and overcome will we ever fulfill our purpose in this life. Jacob strove and overcame his natural inclination to become something greater. What is your struggle? Will you wrestle with your angel and overcome? Will you become the person Hashem intends for you to be?